Municipal debt instruments have always played a crucial role in the overall composition of investor portfolios. Many investors gravitate toward muni debt instruments for their triple tax-exempt status (federal, state and local) and knowing that these securities are often backed by strong tax revenue streams. In addition, municipal debt instruments are often considered a relatively safe investment option compared to other investment options in equity or corporate debt markets. According to MSRB (Municipal Securities Rulemaking Board), the municipal debt market amounts to $3.9 trillion in its market size, with the default rate of merely 0.18%; in comparison, the corporate debt market amounts to $8.8 trillion with 1.74% default rates. However, there are still some risks associated with municipal debt investing that every investor should carefully consider before making any investment decisions. In this article, we will take a closer look at the following: What role do municipal securities play in your investment portfolio? And, why is it important for investors to understand the risks associated with municipal bond investing? Be sure to check our Education section to learn more about municipal bonds. As mentioned above, municipal bonds are debt instruments issued by state or local governments to fund various projects within their jurisdictions. Depending on the debt structure, these bonds are backed by the full faith and tax authority of the issuing entity. These instruments provide a stream of income based on their coupon, called coupon or interest payments, that can be exempt from federal, state and local taxes. Due to the low default risk and tax-exempt status of municipal debt instruments, the coupon rate or interest paid on muni bonds is often less than corporate debt instruments that pay taxable interest payments. As a result, municipal bonds can reduce the overall risk and volatility of an investor portfolio. Municipal debt markets are entirely dependent on local and state government borrowing; hence, any legislative changes to certain policies or tax laws can significantly alter the favorability of municipal debt in capital markets. Consider the recent changes in tax laws under the Trump administration that can be seen as the epitome of legislative risk surrounding municipal debt markets. Given the tax-exempt status of municipal bonds, they provide the biggest tax benefit to a high-earner investor in the top marginal tax bracket. However, if the federal government makes a tax code change to lower the marginal tax rate for high-earning individuals, it diminishes the tax-exempt benefit. As a result, this could dampen the municipal debt demand in capital markets and, in turn, negatively impact municipal debt markets. For instance, the total tax-exempt benefit to an investor in the 39% tax bracket on a municipal bond offering a 5% coupon is 1.95% (5% x 0.39). However, if the tax bracket is changed to 37%, the tax-exempt benefit comes down to 1.85%. 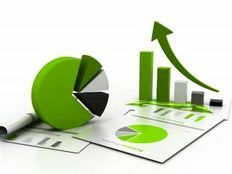 As most investors are aware, interest rates and bond values are inversely correlated, which means when interest rates are on the rise, bond values decline, and when interest rates fall, bond values appreciate accordingly. In the secondary market, if a bond sells at par ($1,000) with a 3% coupon, it means that the market interest rates are similar to the bond’s coupon. However, if interest rates increase, the same debt instrument will sell at a discount in the secondary market because the primary market debt instruments, with similar maturities and credit quality, will now be issued at a higher coupon than the existing debt. The same concept applies in the declining interest rate environment – the existing debt becomes more lucrative than the new debt, which will now be issued at a lower coupon. In addition, interest rate fluctuations affect longer maturities more than shorter maturities. However, for some investors, the fear of rising inflation or interest rate changes may be non-existent due to their risk tolerance and time horizon for their holdings. Many fixed-income investors purchase their debt holding with the hope of holding it until maturity. Now, if they purchased a bond at par ($1,000 or face value) and are willing/able to hold it until maturity and simply collect the coupon, they don’t need to worry about rising or declining interest rates; they will be able to let the bond mature at its face value. However, inflation-adjusted returns will continue to decline as inflation goes up. 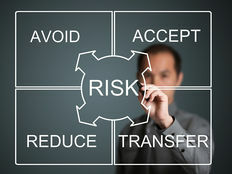 This type of risk is directly attributed to the issuer of municipal debt and alludes to its inability to pay back the borrowed debt or make scheduled coupon payments to its debt holders – also known as default. Although municipal default rates are extremely low, it’s still a cause of concern. The cities of Detroit, MI and Stockton, CA serve as some of the more prominent bankruptcies of municipal issuers that were unable to meet their financial debt obligations. Check here to see what happens to your muni bonds when municipalities go bankrupt. Sustainable Tax Base: The main basis for repaying general obligation debt is the strength and ability of the local economy – which includes the size, diversity of employers and strong tax base – to meet its financial obligations. Since real estate, their diverse ownerships and their values are critical for sustainable tax-base income levels, they also play an important part. Financial Preparedness: A local government’s organizational style and financial preparedness determine its ability to withstand any potential downturns and sustainability. This preparedness isn’t limited to its reliance on general fund revenues, but it also takes into account the potential policies in place for an unforeseen event including reserve fund policy, access and management of liquid resources, and feasibility of long-range financial plans. Municipal issuers often exercise the call option on their high-coupon paying outstanding debt in a low interest rate environment; which essentially means that they can retire their outstanding bonds before maturity by either buying back or refunding it with lower coupon debt. This poses a significant risk for investors whose debt has been retired by the issuer. The investors now have to go back into the municipal markets to buy other investment vehicles and they may never be able to earn the same interest as they were earning on the retired debt instruments. In addition, since municipal debt markets are not as active as equity markets, investors can often struggle to buy or sell their instruments in their desired time-frame. 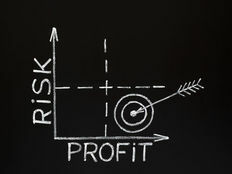 In conclusion, although municipal debt instruments can present attractive opportunities to enhance your overall portfolio returns while mitigating certain risks presented by equity investments, it’s important to carefully analyze the issuer, the revenue streams backing your holdings and the potential worst-case scenarios before making an investment decision. Investors must consult with their financial advisors and tax consultants on their holdings, and it’s important to understand the tax status of any fixed-income instrument that you buy in the future, as it may have changed.